SINGER One Plus 221-Stitch Computerized Sewing Machine Just $206.69! You are here: Home / Great Deals / Amazon Deals / SINGER One Plus 221-Stitch Computerized Sewing Machine Just $206.69! Down From $800! PLUS FREE Shipping! SINGER One Plus 221-Stitch Computerized Sewing Machine Just $206.69! Down From $800! PLUS FREE Shipping! Are you or someone you know crafty? 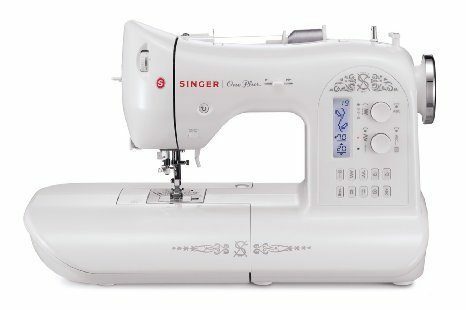 Well, check out this amazing Amazon deal for the SINGER One Plus 221-Stitch Computerized Sewing Machine for only $206.69 and FREE Shipping! Get yours now before this great deal is gone!